PUL-I-ALAM: A man allegedly slaughtered his 14-year-old wife in Mohammad Agha district of the central Logar province last night, police said. 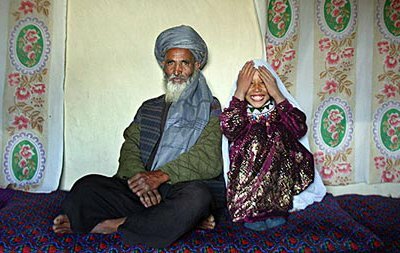 Roshan Qasem, 11, will joing the household of Said Mohammed, 55, his first wife; their three sons, and their daughter, who is the same age as Roshan. 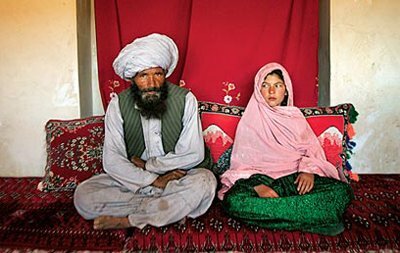 Ghulan Haider, 11, is to be married to Faiz Mohammed, 40. Colonel Qudratullah Arabzai, crime branch chief of the police headquarters, told Pajhwok on Monday the couple had married six months back. The marriage was on the basis of Badal or exchange marriage, and the two families used to quarrel with each other, said the police officer. Arabzai said the accused Dad Mohammad was in police custody. 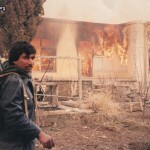 Body of the slain woman was still in the house of her in-laws and had not been handed over to her parents, he informed. Nasrin's mother Qudsia said her daughter did not visit them since her marriage six months back. She told Pajhwok, Nasrin was upset and used to complain her over the telephone about the rude behaviour of her husband for the previous two weeks. Revealing the ordeal of her teenaged daughter, the dejected mother said Dad Mohammad (the accused) used to tie her (Nasrin's) hands and feet and beat her severely. Faqir Mohammad, neighbour of the accused, said family life of the couple was very disturbed. He said Nasrin was banned from meeting any one outside the four walls of her house.